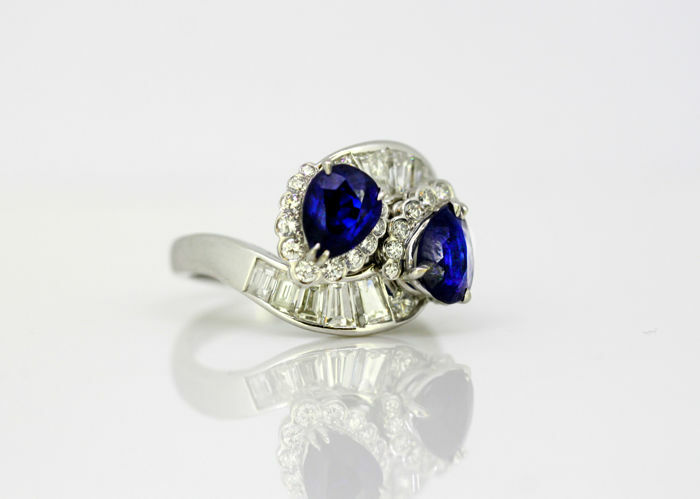 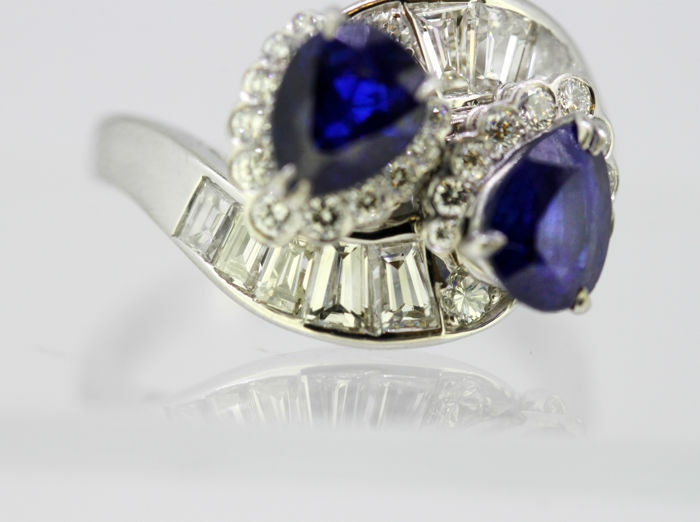 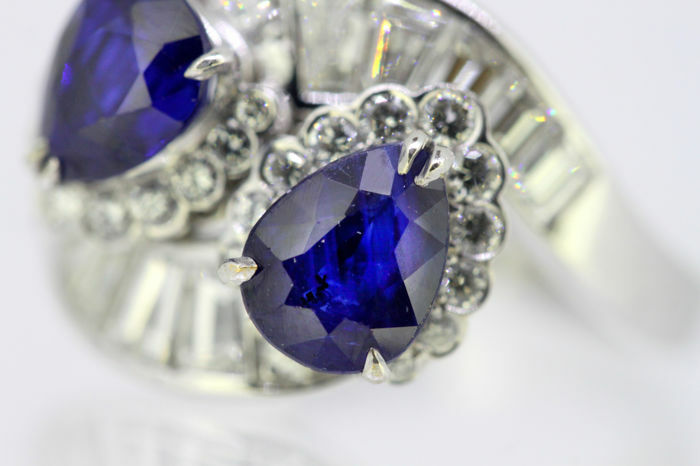 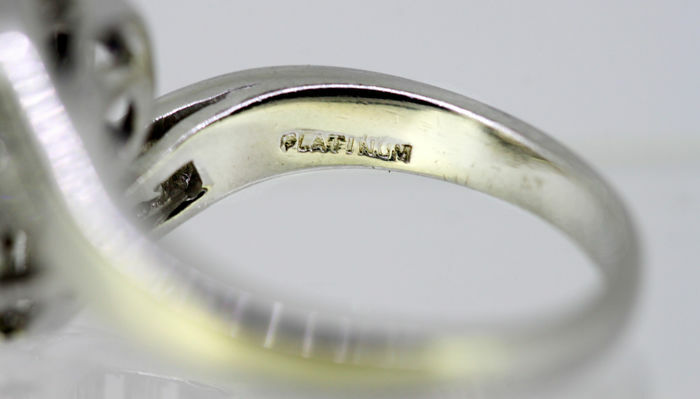 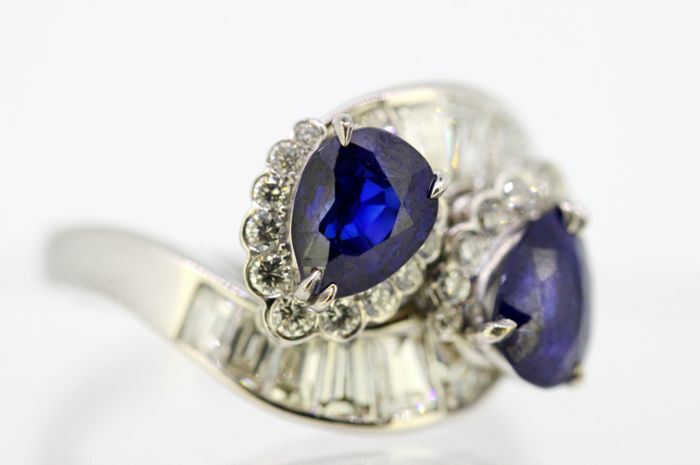 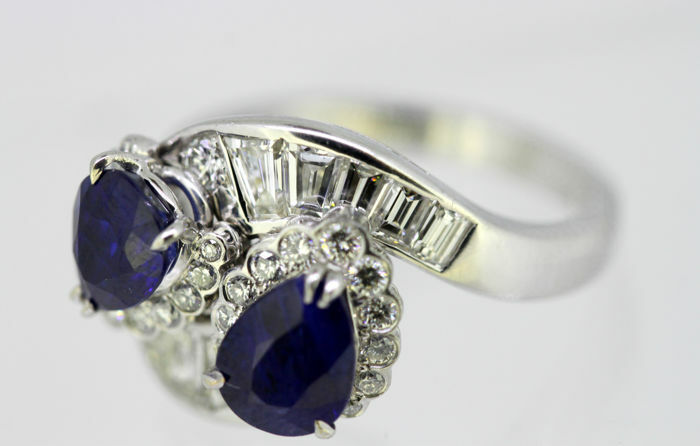 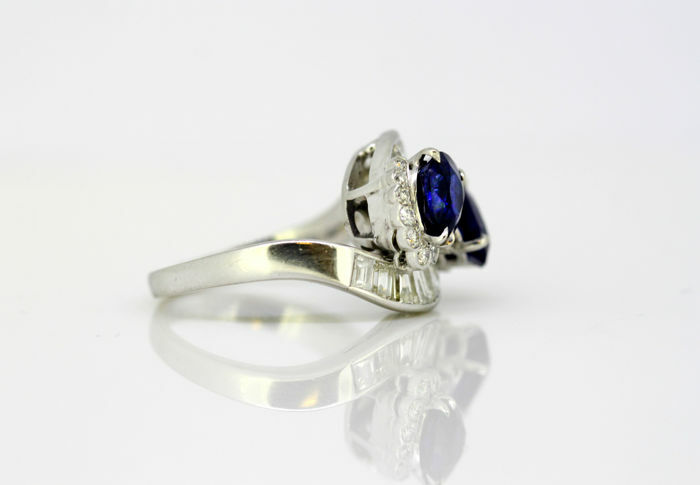 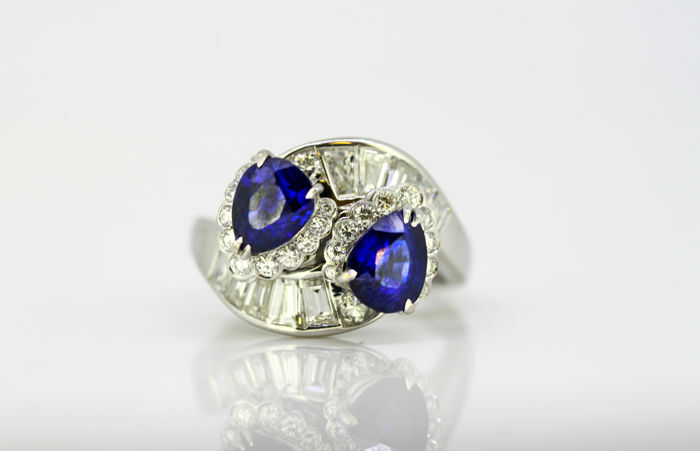 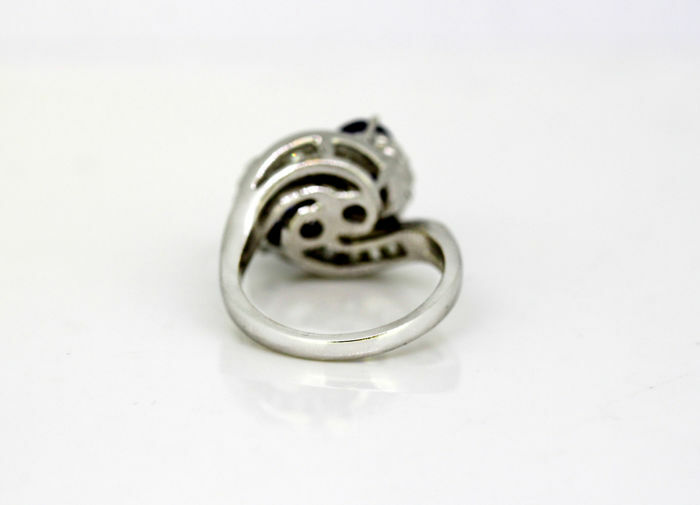 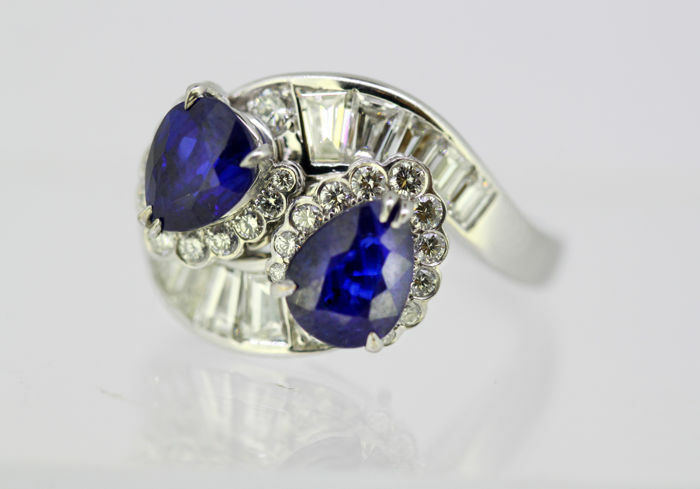 Platinum ladies ring with natural Ceylon sapphires and diamonds. 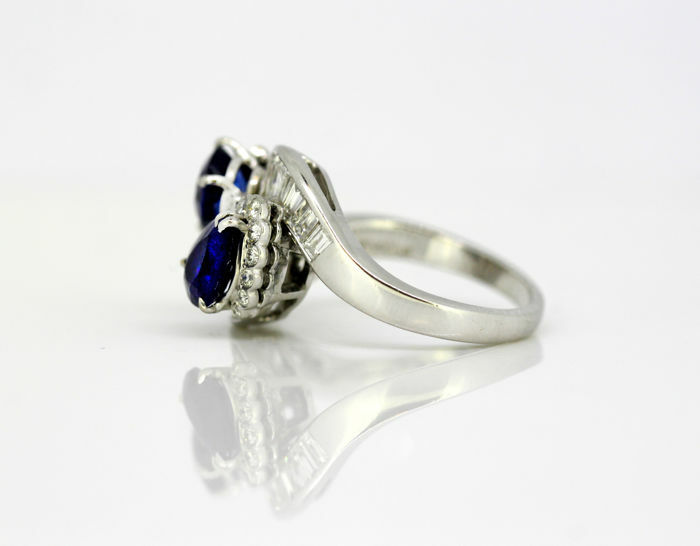 Condition : Ring is pre-owned, has some minor wear from general usage, no damage. 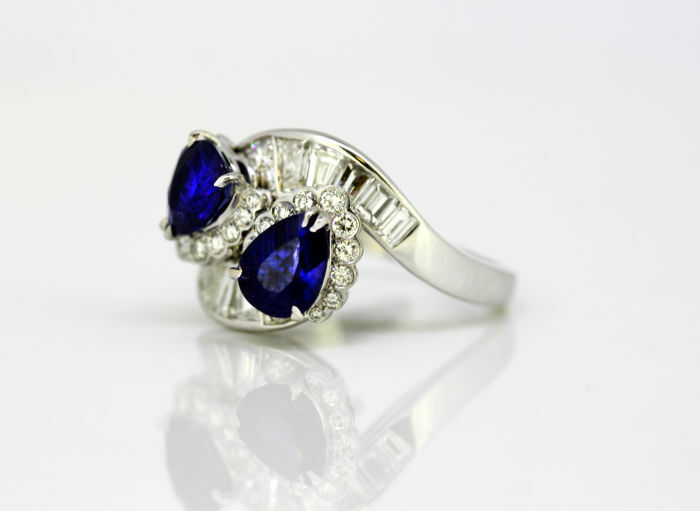 excellent and pleasant overall condition, please see pictures for a better view of the items condition.